One and common problem I encountered on my Linksys WRT54G2 router is the dropping of internet connection on both wired and wireless. It took me a week of headache on why my internet connection randomly disconnects, did some searches and tried some of online suggestions but still no luck. I came up to the point where I reset and power off my router every time it disconnects from the internet that cause a lot of pain on my side. In my case router is working perfectly until I upgraded its firmware and that’s the time this issue arises. Tried setting bandwidth limit on some connected device to check if the issue will gone but still it internet connection keeps dropping. One time I decided to re-setup my WRT54G2 router hoping the issue will be solve, after I did a re-setup router seems to work perfectly but after several hours error still occurs. Also tried changing Channels and Beacon Interval, Fragmentation Threshold, RTS Threshold and more. In this post, I'm telling you how I solve the issue on my router that keeps me getting disconnected hope this will work for you also. The only solution on my issue is setting up the right MTU size on my network. 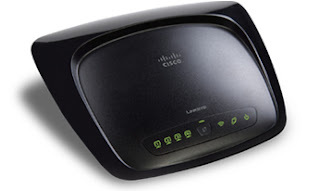 Follow the steps on how to set correct MTU Size Linksys Router Settings. That steps work on my router, hope it helps and if you have other solutions on how you solve your Linksys router feel free to post it on comment box.